In my experience being natural takes a lot more effort than when I was relaxed. But then again I didn't really care for my hair then. I've realized that how you feel about your hair will determine how others will as well. Don't be afraid to try new things! This goes for hair styles and products. Be patient! It took awhile for my curls to truly form. My twistouts were a undefined frizzy mess! Find someone with a similar hair texture and ask for advice and tips. Don't rely strictly on the hair typing system. When trying new products pay special attention to the ingredients. Take pics and make note of how your hair reacts. This will make it easier to figure out what your hair likes and dislikes. There's no need to go out and buy expensive products. 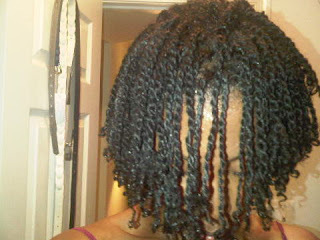 Start out with basic conditioners, oils, etc. Buy lots of cute bows, headbands because trust everyday will not be a great hair day. When all else fails rock your puff proud! Wash & Gos- these are cute and all but hair is a breeding ground for single strand knots and y'all know how I feel about those. Wet shrunken hair seems to be the culprit. 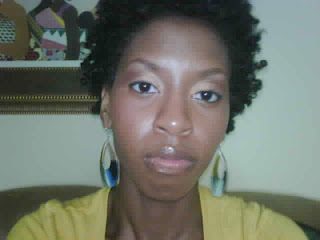 Not Deep Conditioning!- this was my early twa days. I noticed a major difference in moisture retention when I started dc'ing once a week. Washing my hair loose- I section my hair in quadrants now. This is no longer efficient. I have to start washing in twists. Not sealing my ends- I'm working on this now. Especially since my hair is longer, protecting and babying my ends are a must if I want to retain length. I also hear sealing keeps knots at bay! Styling my hair while tired-this is bad. The style might be ok but my impatience leads to rough handling of my tresses. Forgetting about protein-as a natural we are all about moisture moisture moisture! But protein is important too. Luckily my hair loves both. Great tips...I still continue to make so many mistakes...but i don't think there's a such thing as perfection when it comes to hair care routines. I agree on all points! It's been a year & a month since my BC and I'm still taking note. 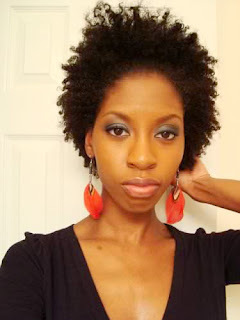 Natural hair is a major labor of love but it's very rewarding when the result is healthy hair! These are such grat points. I made all those mistakes too and I am seriously fighting to retain length. Wow, I am definetley guilty of styling while tired! It's only been a month since my BC but I'm taking notes. Great points! I have been natural for all of 14 months and it's been quite a journey. Had I known my infamous wash and go style was to blame for those crazy single strand tangles I would have started twisting months ago. Guess I have to stop being lazy and get to twisting.